As Africa debates about whether or not Jumia should be considered an African company, it’s stock continues to soar. 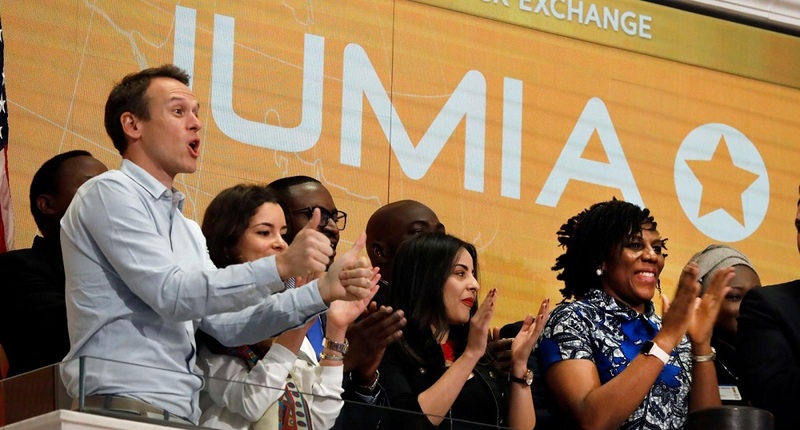 The company that launched its IPO on the New York Stock Exchange on Friday has seen its shares jump close to 300% to reach $43.04 when the market close yesterday, giving Jumia a market cap of $3.29 billion. This big jump is extraordinary in every way. There hasn’t been any unprofitable technology company lately that has performed as well as Jumia on its public market debut but as Fares Ghandour from Wamda points out in this piece, it is also an indication that the company was undervalued by its investment bankers. Jumia was expected to price the stock between $13-16 at IPO and went with the midpoint of this range, $14.5, with the stock gaining 75% on its first day of trading. Founded in 2012, the company that is present in 14 markets including Egypt, Morocco, Tunisia and Algeria, had become a unicorn after raising over $300 at a post-money valuation of $1.2 billion. Jumia’s businesses in Africa include an online marketplace, food delivery, hotel and flight bookings, and real estate listings. The company had GMV of $935 million and an operating loss of $191 million last year. Its accumulated losses since it was founded in 2012 were close to $1 billion at the end of 2018.